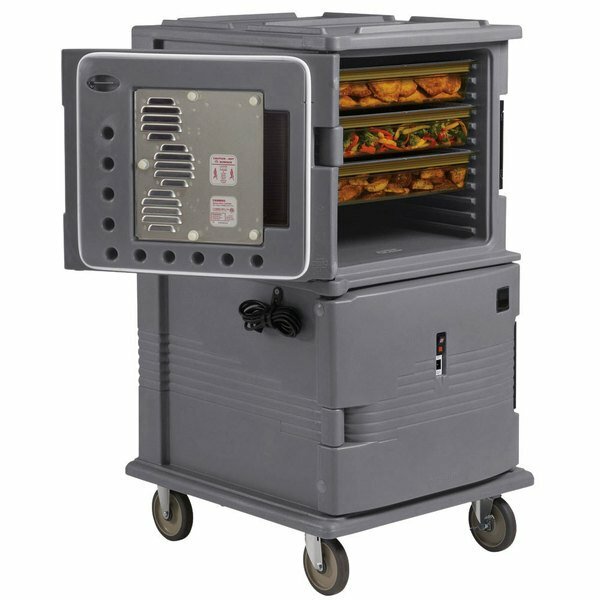 The Cambro UPCH1600HD191 granite gray Ultra Camcart extends hot food holding time to ensure food safety! It's perfect for transporting to off-premise events, corporate parties, delivering food from central kitchens to satellite locations, or longer catered events. 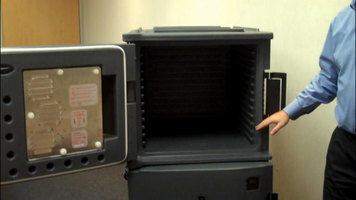 After its 45-minute warm-up time, the Cambro Ultra Camcart is designed to hold food between 150-165 degrees Fahrenheit. Plus, thanks to its thick, foamed-in polyurethane insulation, the unit can maintain safe food holding temperatures for up to 4 hours once unplugged! The built-in digital thermometers located on each heated door shows inside compartment temperature at a glance. 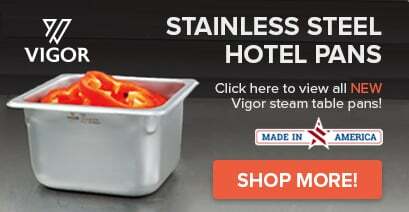 Its tough, polyethylene exterior stays cool to the touch to ensure safe and easy handling, while a vent cap equalizes pressure and releases steam. The 9" nylon latch opens and closes easily, secures tightly, and will not bend. Additionally, the unit features durable, ergonomically placed, molded-in handles that won't break, offering reliable transport for years to come. The interior of each compartment features 12 evenly-spaced, molded-in rail sets to accommodate varying pan depths and maximize capacity. Four heavy-duty 6" casters are also included, ensuring that this heated pan carrier can stand up to the most demanding of schedules without fail. A 110V electrical connection is required for operation. This item complies with the standards imposed by the Conformance European (CE), a division of the Intertek group.